It’s here! 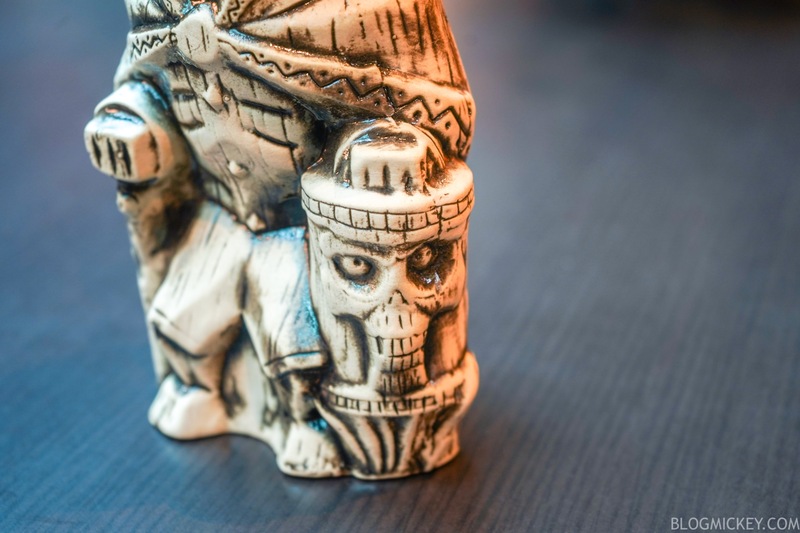 The annual Haunted Mansion inspired tiki mug has arrived at Trader Sam’s Grog Grotto and it’s an all-new look this year. 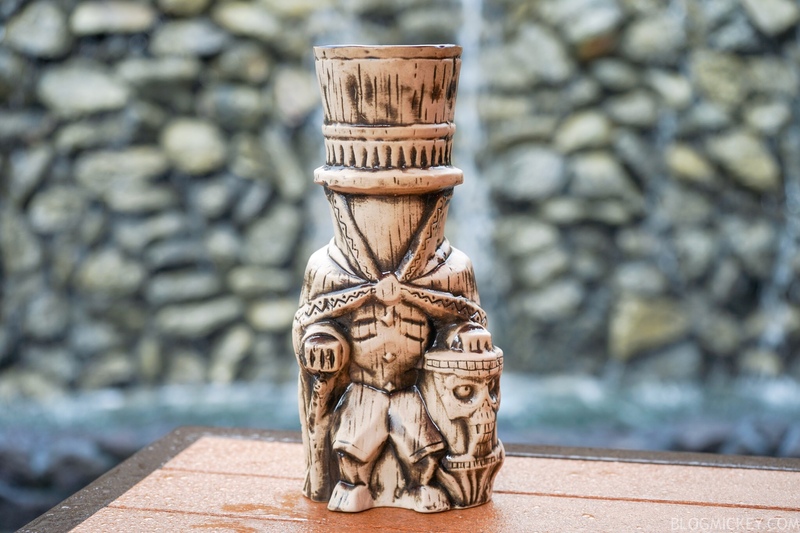 This year’s design features none other than the Hatbox Ghost of Disneyland fame. 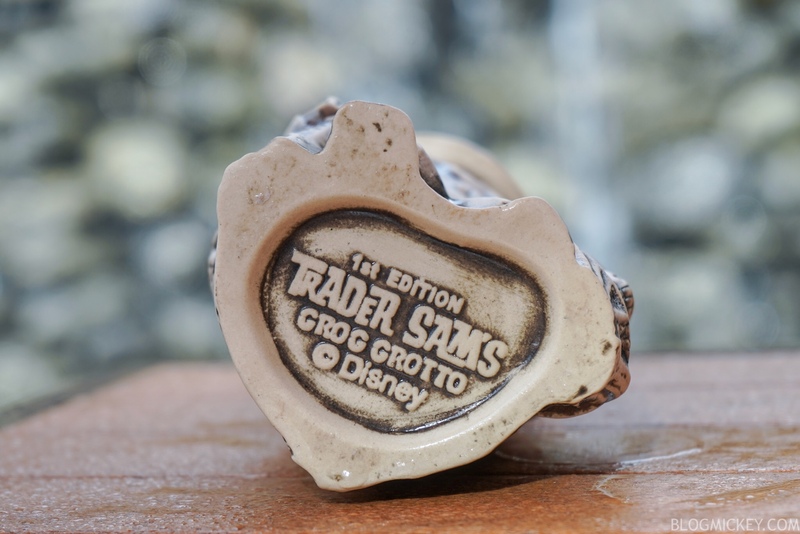 We went out to Trader Sam’s Grog Grotto this afternoon to bring you a first look at the mug. 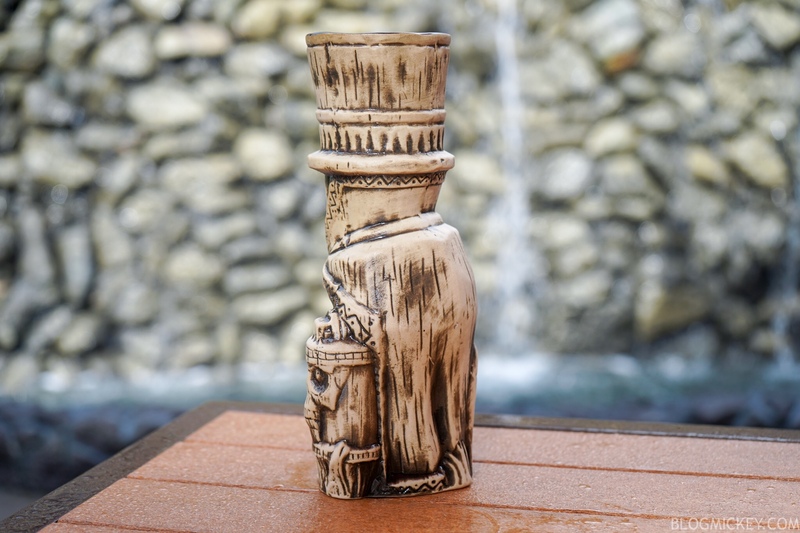 Not only is the mug brand new, but so is the drink! 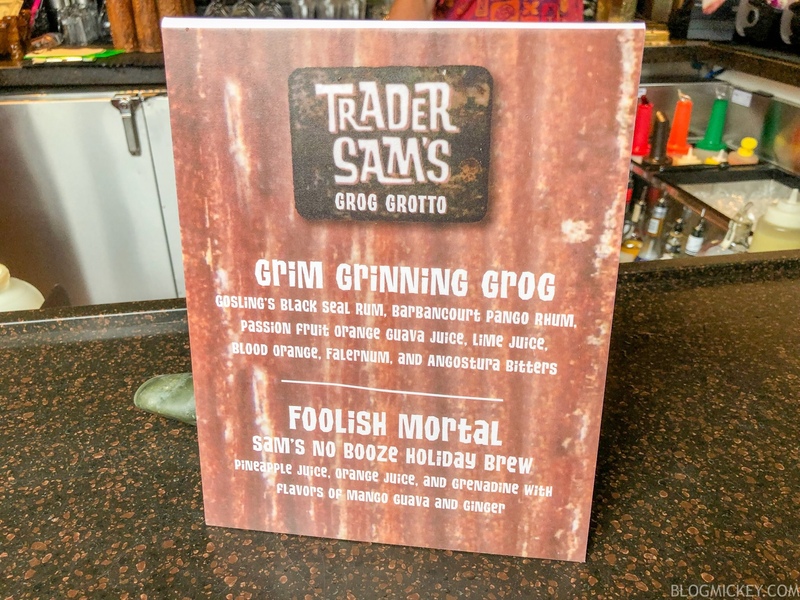 This year’s drink is the Grim Grinning Grog and it features Gosling’s Black Seal Rum, Barbancourt Pancho Rhum, Lime Juice, Blood Orange, Falernum, and Angostura Bitters. The drink is much better than the Fogcutter from last year. You’ll find that the lime and P.O.G. 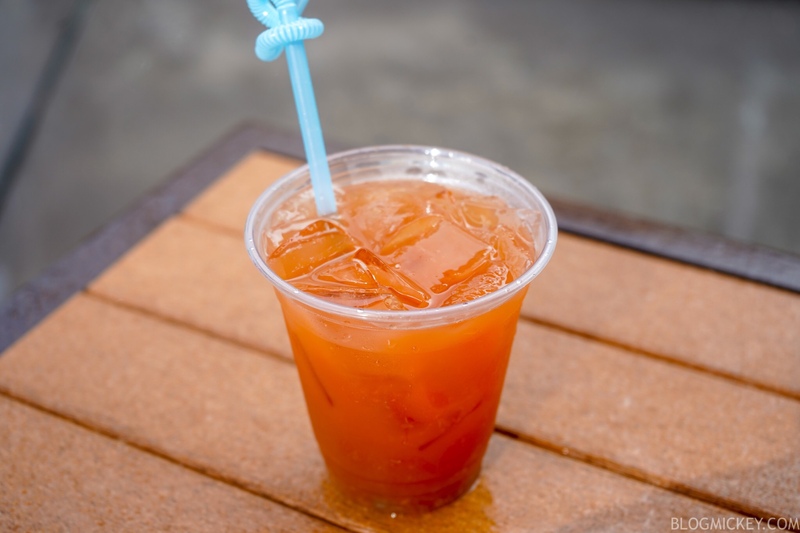 (passion fruit orange guava juice) combine for a wonderfully citrus flavor. 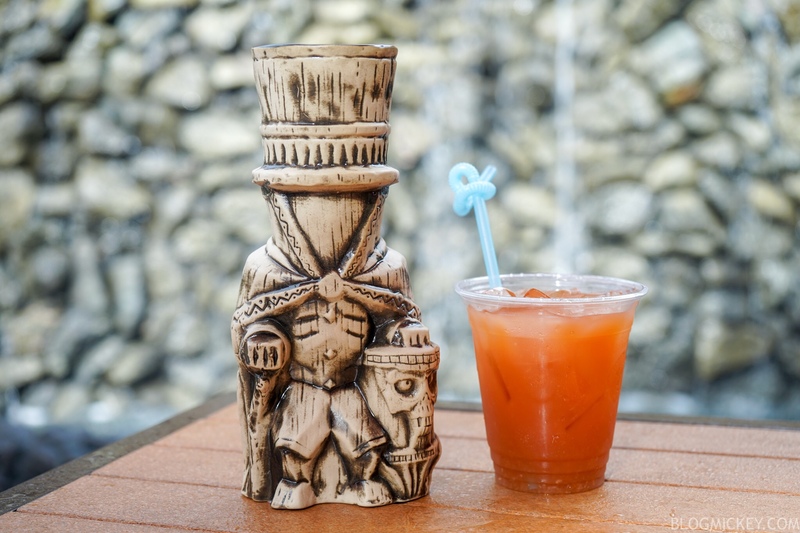 The rum comes through nicely to complete the drink and make it worth the $31.95 (after tax) tendered. Under the label of “Sam’s No Booze Holiday Brew” the Foolish Mortal is quite appropriately named. 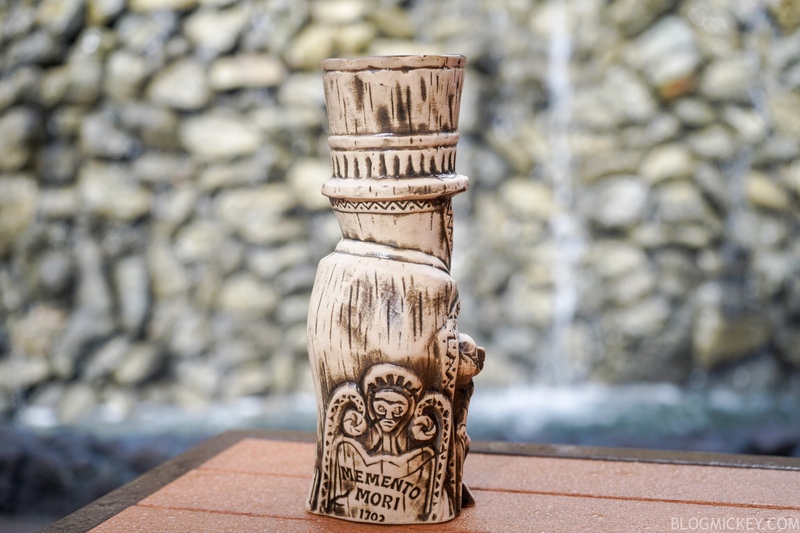 That’s because you can opt to pair this drink with the Hatbox Ghost Mug, but still pay the full $30. The $6.49 is for the drink as pictured below without the mug. 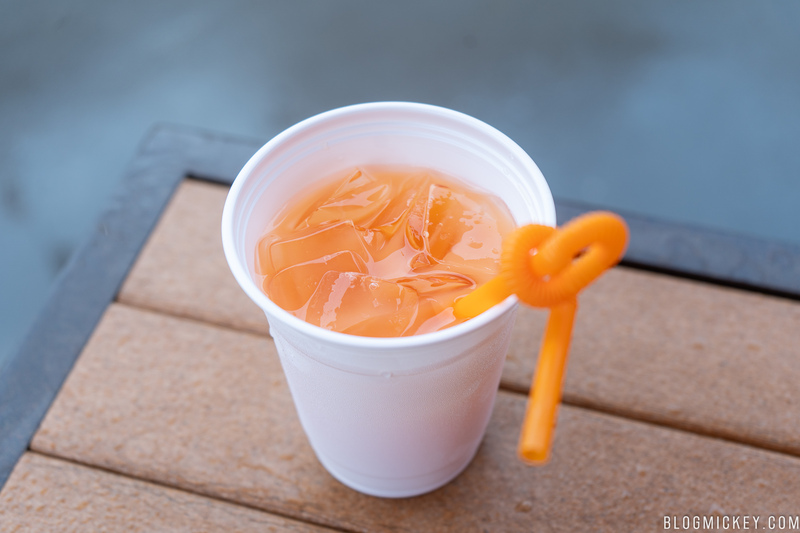 As far an ingredients and flavors, you’ll find pineapple juice, orange juice, and grenadine with flavors of mango guava and ginger. Overall, we found the drink to be mostly mango with a bit of grenadine. The pineapple and orange juices didn’t really materialize.